Winning Racing Tips: Will Minella Rocco Pull A Surprise At The Grand National? Will Minella Rocco Pull A Surprise At The Grand National? All eyes will be on Aintree for the Grand National on April 14 as a new champion will be confirmed at the event. 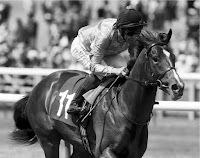 One For Arthur won the prestigious race last season with a fine performance, but injury has forced him to withdraw, ending his opportunity to end the crown. His absence will open up the opportunity for the rest of the field to etch their place in history. There are a number of talented runners in the field, including horses that triumphed at Cheltenham Festival last month. Total Recall raced at the Festival, but put forward a poor performance at the Gold Cup, whereas Tiger Roll was outstanding in the Cross Country Chase, defeating Cause of Causes among a strong group of competitors. As a result, it’s always best to consult the form guide when at Timeform.com before placing a punt for the National. 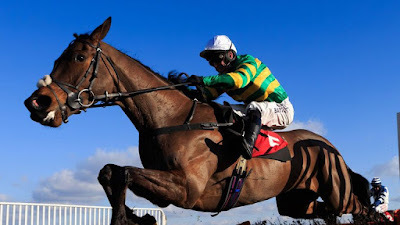 The race can be unpredictable, but there will be one competitor – Minella Rocco- desperate to prove a point after being pulled from the race by trainer Jonjo O’Neill, despite being considered one of the leading contenders for the crown among leading bookmakers ahead of the contest. The bay gelding will face a challenge to find his best form, although he does have proven pedigree looking back over the course of his career. Minella Rocco made his breakthrough in the 2015/16 National Hunt campaign, making his mark at Cheltenham Festival. The Irish horse secured the National Hunt Chase Challenge Cup, with Derek O’Connor in the saddle. He started the event at the back of the field before beginning his surge three fences from the end of the race. The bay gelding beat out future Gold Cup winner Native River by one-and-three-quarter lengths, highlighting his potential for the future with a brilliant run. He returned to the action for the new campaign and suffered a narrow loss in the BetVictor Handicap Chase at Cheltenham, despite being considered the leading contender for the victory. 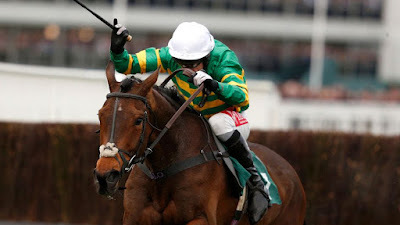 Minella Rocco lost momentum in the midway stage of the season, falling for the first time of his career in a meet at Aintree before unseating Aidan Coleman at the Irish Gold Cup. The preparation for the Cheltenham Gold Cup was not ideal, but O’Neill’s charge still had a puncher’s chance at the major event of the Festival. Noel Fehily kept the Irish horse at the back of the field for the start of the race before beginning a push three fences from the end of the meet. He tried to close the gap to Sizing John, but could not match the pace of his rival, losing out by two-and-three-quarter lengths. Minella Rocco finished strong to place second ahead of Native River, which suggested that he could do damage over a greater distance at Aintree in the National. However, O’Neill opted to pull the bay gelding from the action to preserve him for the next campaign. His return to the track did not go to plan at the Irish Daily Star Chase, placing in fourth well off the pace in Punchestown, failing to rise to the occasion. He then endured an unhappy return to Cheltenham, pulling up in the BetVictor Handicap Chase. There was an opportunity for Minella Rocco to hit back at the Leopardstown Christmas Chase, and although there was a slight improvement in his performance he was still far from his best, sitting back in fourth place. For the second year on the bounce, Minella Rocco failed to complete the Irish Gold Cup. On this occasion, he fell at the last fence but was not in contention for the crown. The plan for O’Neill was to put his charge forward for the Cheltenham Gold Cup, but the weather at the event forced the trainer’s hand once again, withdrawing the Irish horse due to conditions on the ground. There is undoubted potential with the bay gelding, highlighted by his performance at Cheltenham in 2016. Minella Rocco has failed to record a victory in eight races, with his form deserting him during the last campaign. He still has solid odds to win the National and the distance and the course could play into his hands, although it will still take a flawless performance to secure the crown.